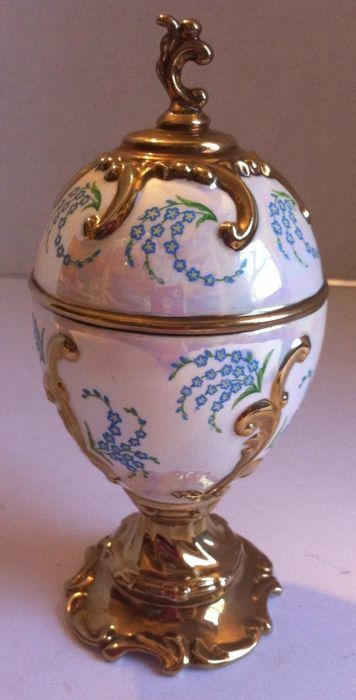 This is a vintage Fabergé egg from the Franklin Mint collection! 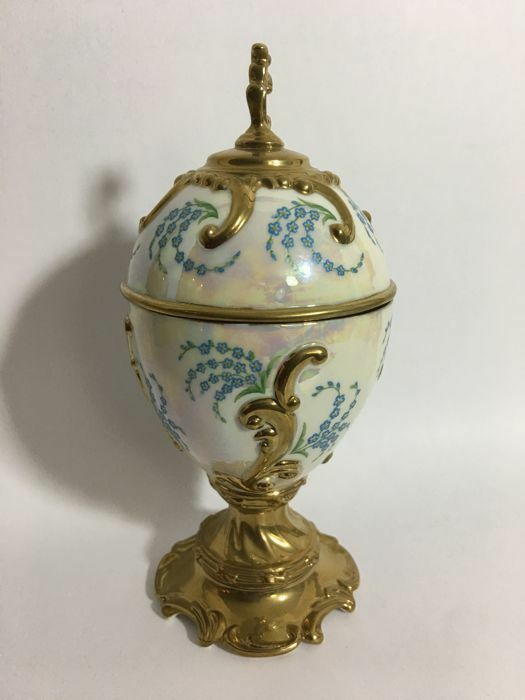 Stunning iridescent porcelain gold plated music box in Faberge inspired egg. 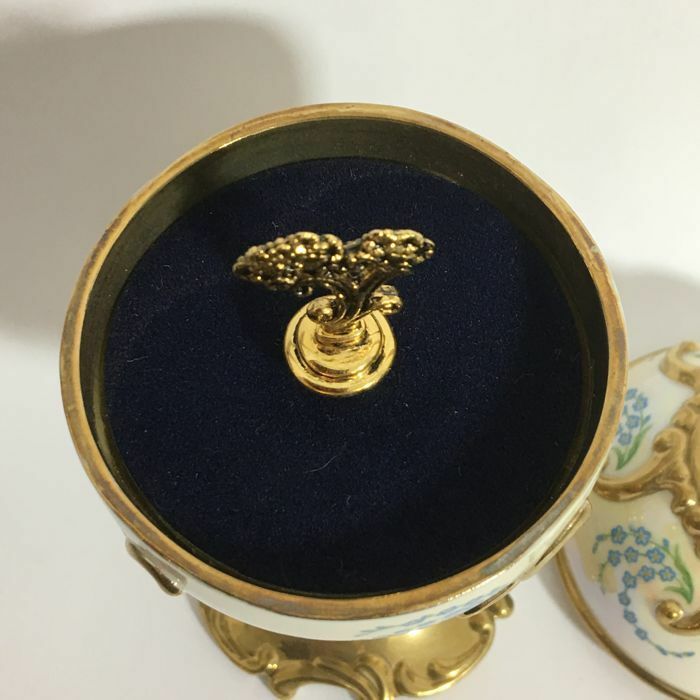 In very good vintage condition! Very nice pastel colours changing in the light, hand painted porcelain. 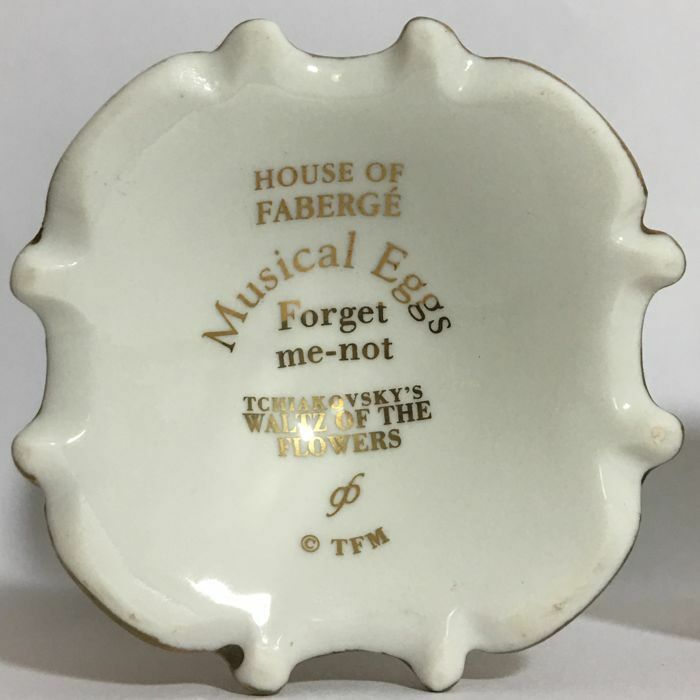 Can be used to put in small precious things. Condition - Perfect , The music mechanisms plays correctly and clearly. The gold is complete and unmarked and there are no clip, cracks or loose parts. 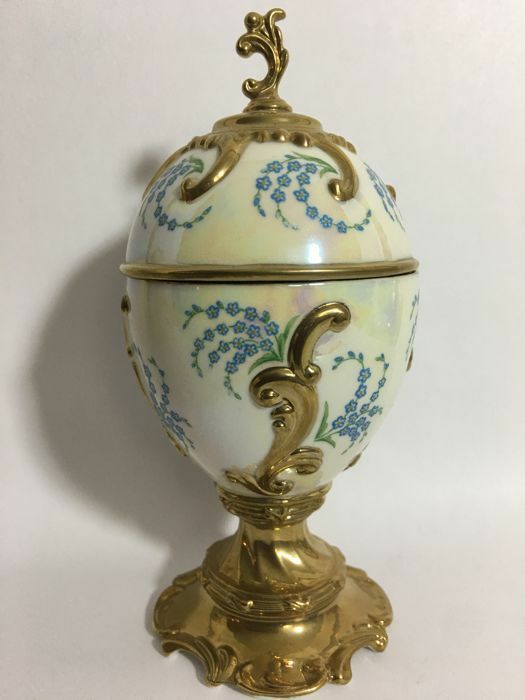 Measures: This porcelain nesting egg is approximately 5 1/4 inches tall by 2 1/2 inches wide. Condition: In very good pre-owned condition!